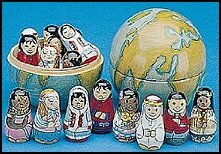 Travel is very common today, allowing people of varying cultures to intermingle and learn from each other. 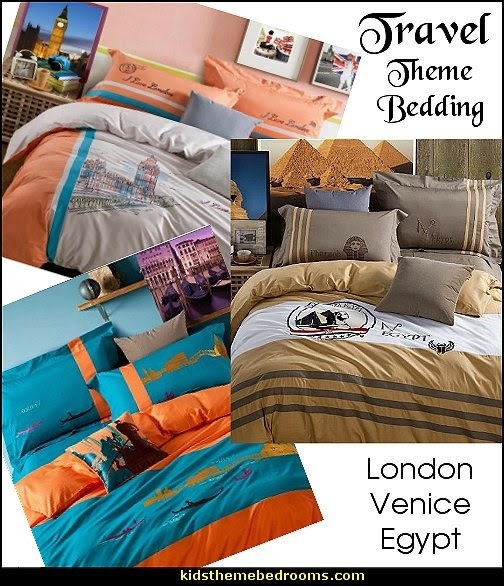 Because of this intermingling, recipes, clothing fashions and decorating styles from different cultures are found all across the globe. 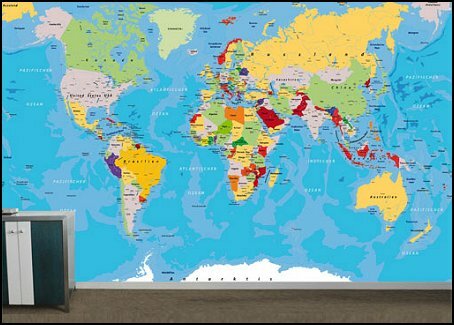 If you’re interested in incorporating decorations from a foreign culture into your home’s décor, consider using a wall mural to get your decorating started on the right track. Scenes from around the world come to life. 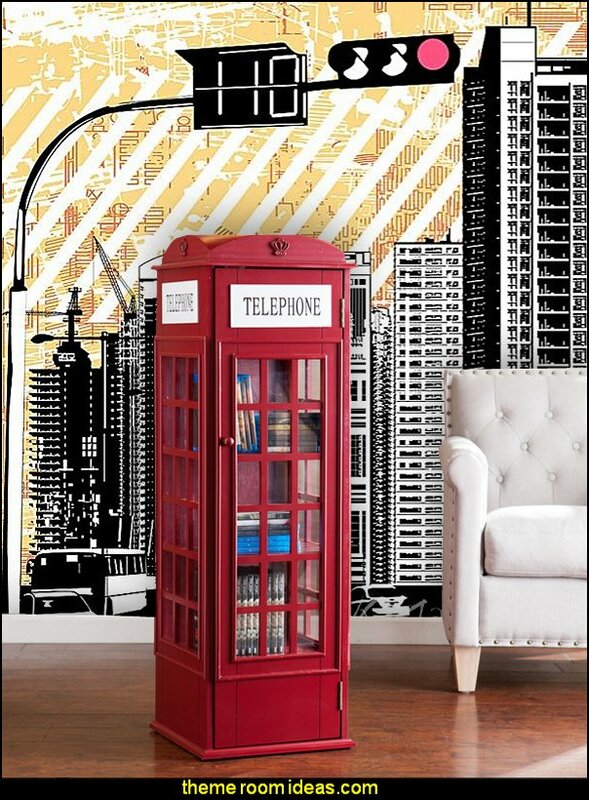 Showcasing global city landmarks, this artistic wall mural is perfect for globetrotters and daydreamers alike. 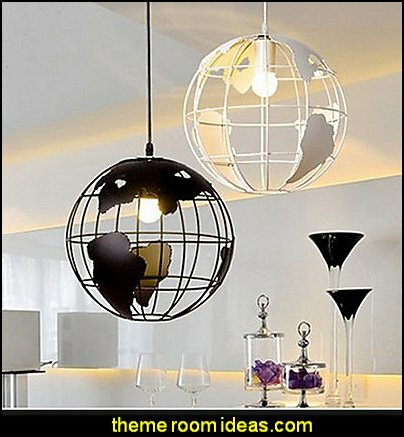 Nothing like ART & FUNCTION all in one! 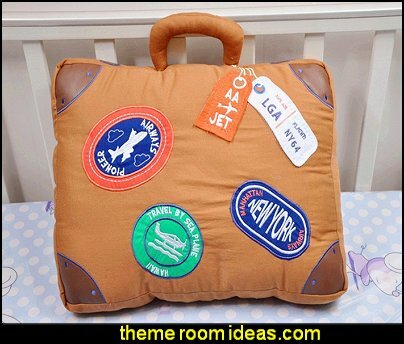 Perfect for the world traveler or one who aspires to be. 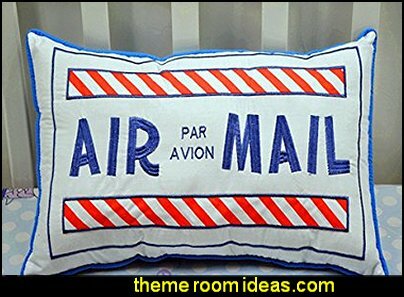 printed on black cardboard and includes removable tape for hanging. 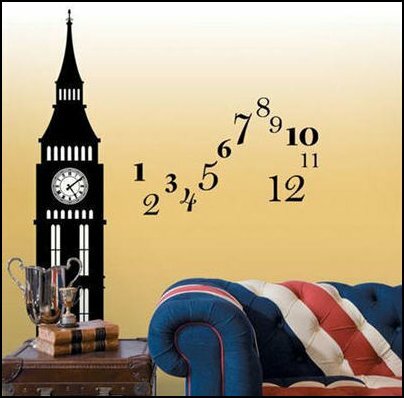 This silhouette measures 3 1/2 feet high x 7 1/2 feet wide. 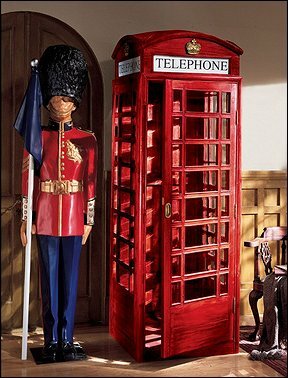 phone booth storage cabinet features a rich burgundy finish with a charming vintage British phone booth design. 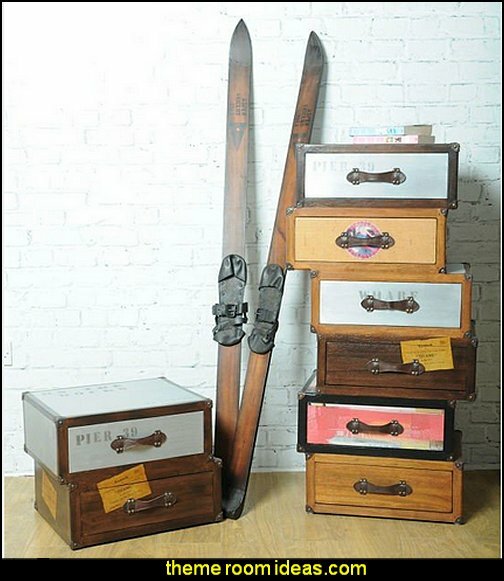 House media accessories, games, or even extra linens on the five fixed shelves for go-anywhere style. Place this universal sideboard in your entertaining space, kitchen, or bath for a versatile clutter clearing option. 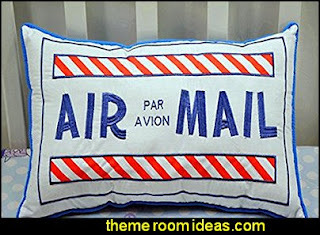 Attention Francophiles! 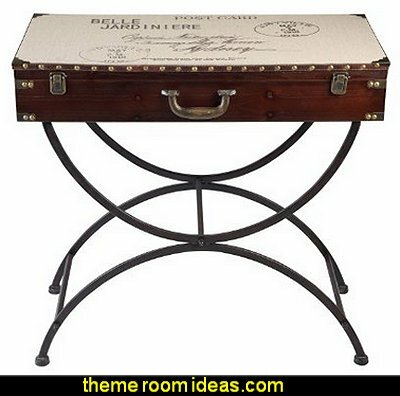 The allure of the Belle Jardinier trunk console table will enchant you with its designer details and streamlined function. Set on a bronzed metal stand, the trunk console table is beautifully crafted of walnut with a latch top for flat storage. 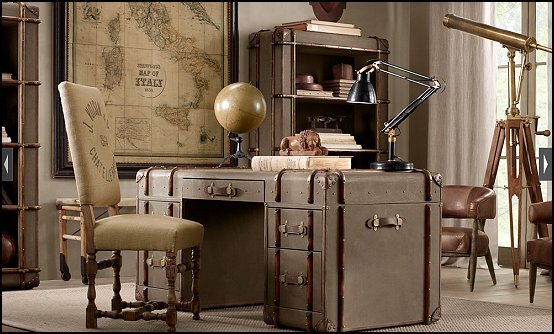 From the canvas top decorated with calligraphy, to the bronzed hardware and nailhead trim, no detail is spared in the creation of the Belle Jardinier trunk console table. 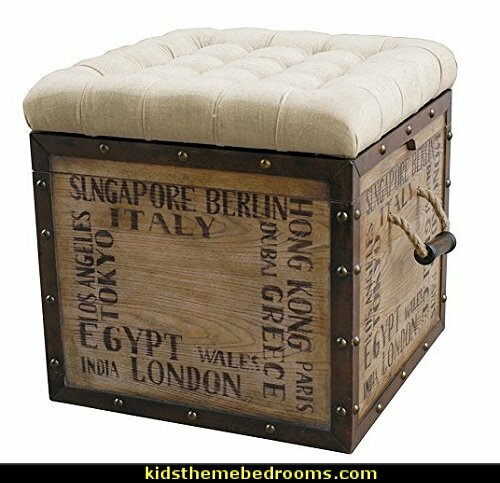 Small and smart, this rustic crate style ottoman offers extra seating with its cushy tufted natural colored seat which can flip to provide a table surface or be removed to reveal storage space. 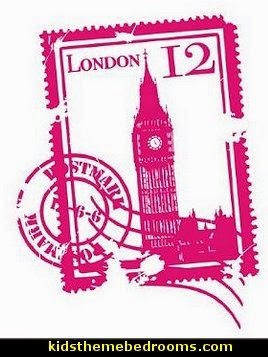 It features a travel inspired stencil design of city names. 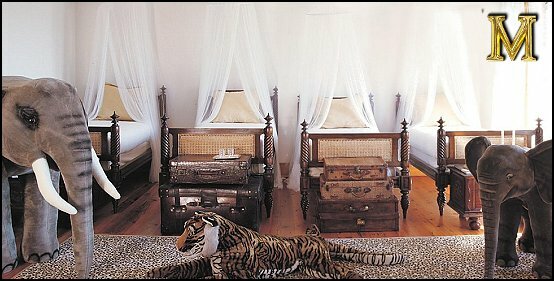 Rope handles and casters complete the design. These fun lights were designed as a playful take on lighting with a real sense of cultural identity. The hat is an object that often associates its wearer with a particular society, heritage or race. 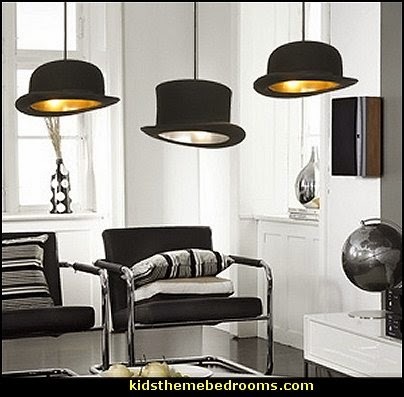 The bowler hat is a classic British cultural icon reflecting a bygone era of imperialism, class divide, and eccentricity. Aptly named after the British comedy series "Jeeves and Wooster" by P.G. Wodehouse. 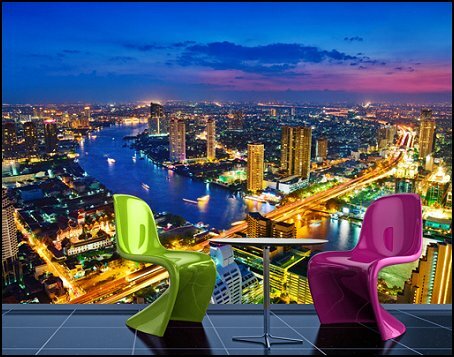 If you’ve traveled to Asia, bold reds and yellows are a common theme for Asian décor. 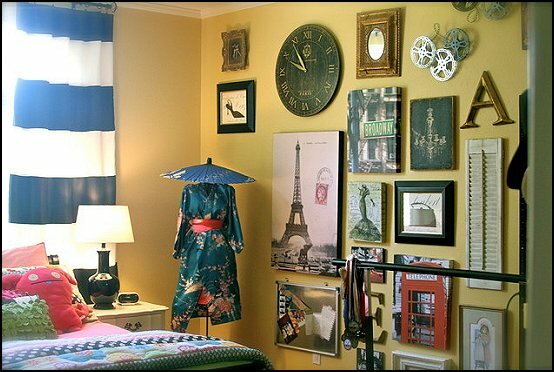 You might be interested in a large fan wall mural or Japanese-style garden image to establish the room’s theme. 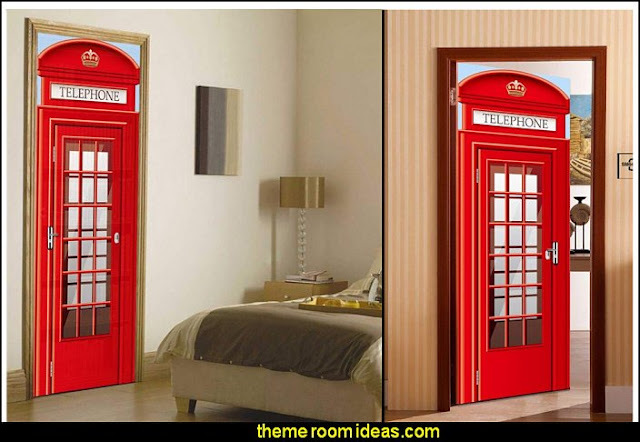 Italian decorating themes are also very popular, especially in kitchens or living areas. 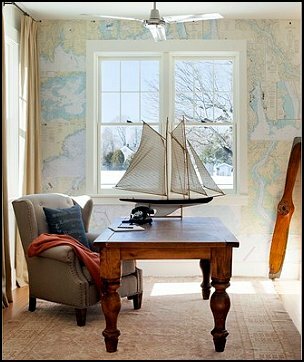 If that’s the case for your home, you might be interested in a wall mural featuring a vineyard or a town hugging the cliff overlooking the ocean. Ladies and gentlemen, this is your captain speaking. 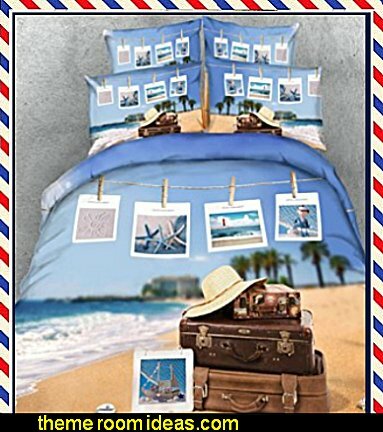 If you scroll down, you'll see an array of travel themed decorations providing the perfect accents for your travel themed bedroom. 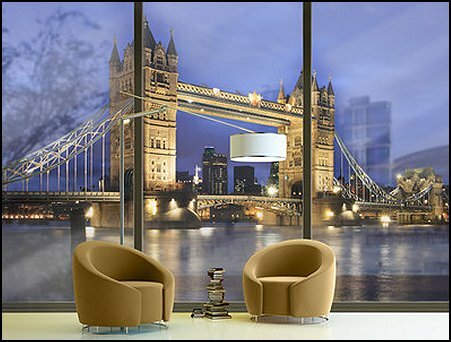 European Wall Murals Transport You to Europe Without a Plane Flight. 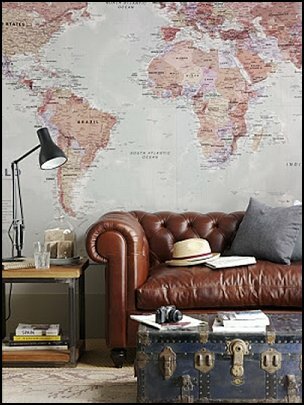 Global style wall murals add a traveling flare to a room's decor. 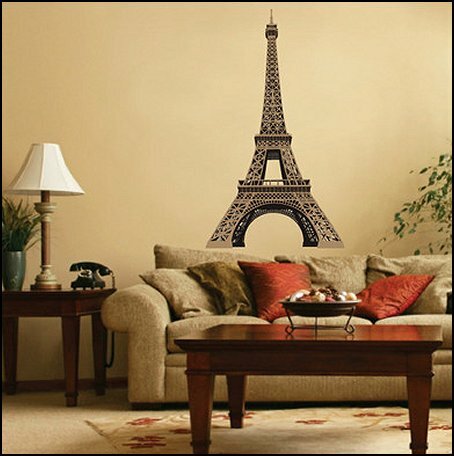 Hanging wallpaper murals featuring the Eiffel Tower in France, the scenic city scapes of towns overlooking the ocean in Greece, or even some of the ancient Roman architecture in Italy quickly and easily establishes a jet-setting trend for the room. 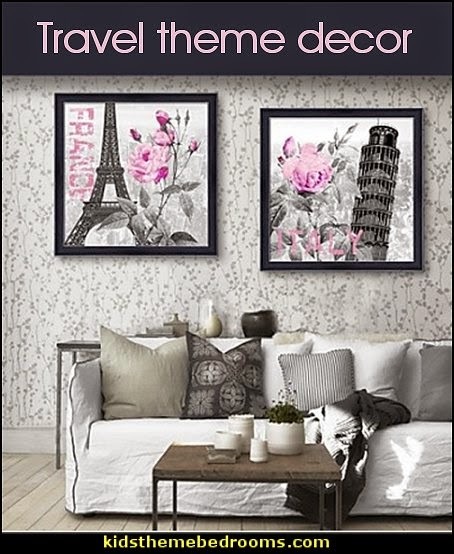 Even if you haven't been to Norway, Denmark or Germany, you can still enjoy the cultural landscapes with a European wall mural in any room of your home. 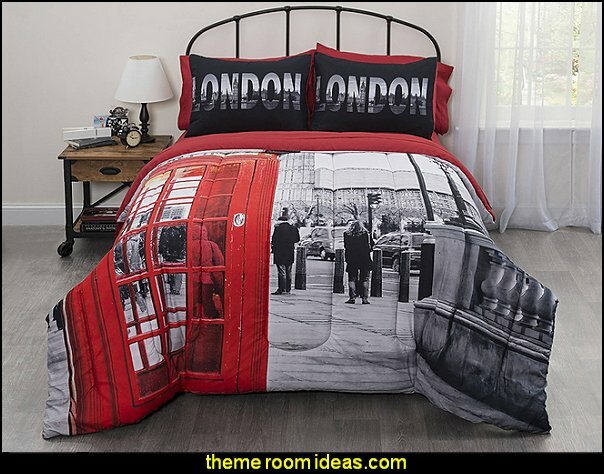 Are you a fan of the Beatles? 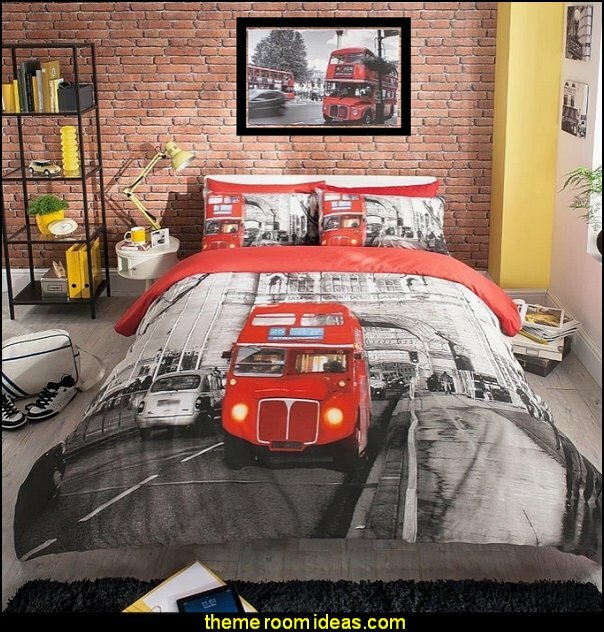 The famous street crosswalk on Abbey Road can adorn the wall of your bedroom, and if you print it big enough to be life-sized, why not pose as one of the famous musicians while crossing the street? 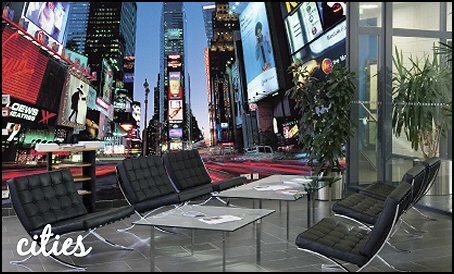 Many of the European wall murals at Murals Your Way are landscape format, which makes them perfect for surrounding a room on all four walls. 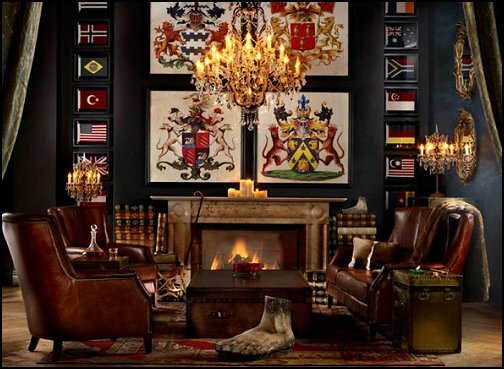 Ever wanted to feel like you're sitting in the middle of a bullfight in Spain? 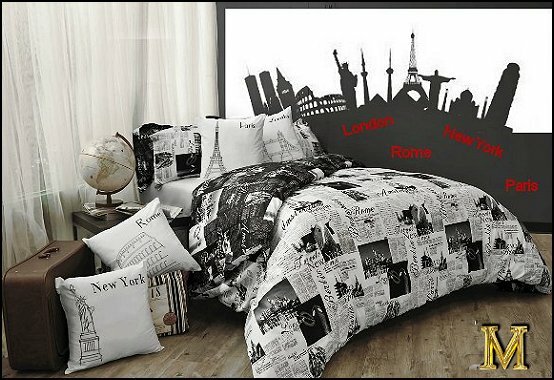 Landscape your room with a scene from Plaza Monumental De Las Ventas, and it won't take much to imagine the dust, the snorting of the bull and the cheers from the stands. 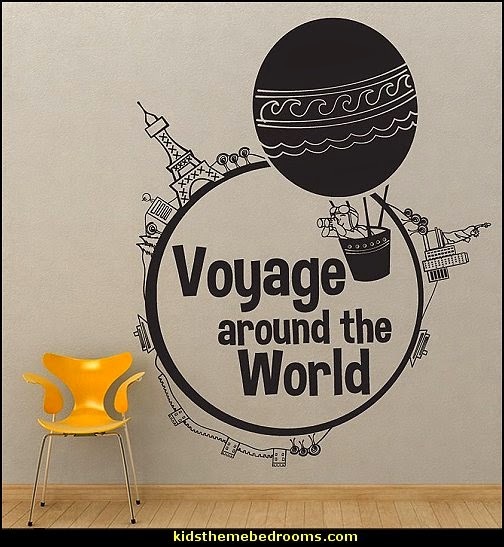 Take your dreams on a world wide adventure. 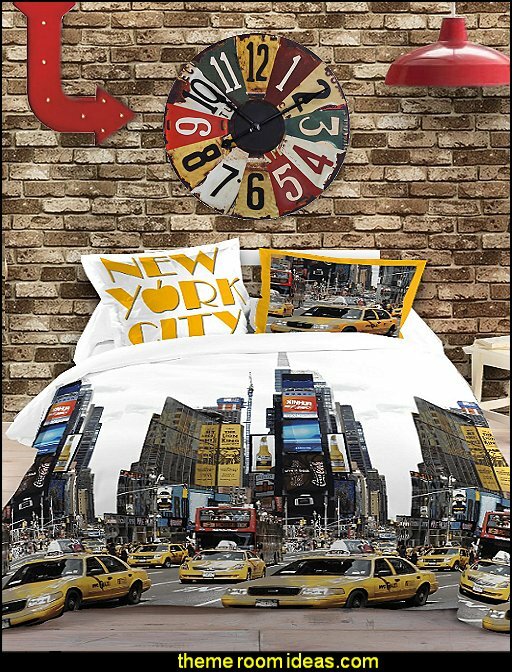 With images and stories of famous cities around the globe, you can travel without ever leaving the comforts of home. 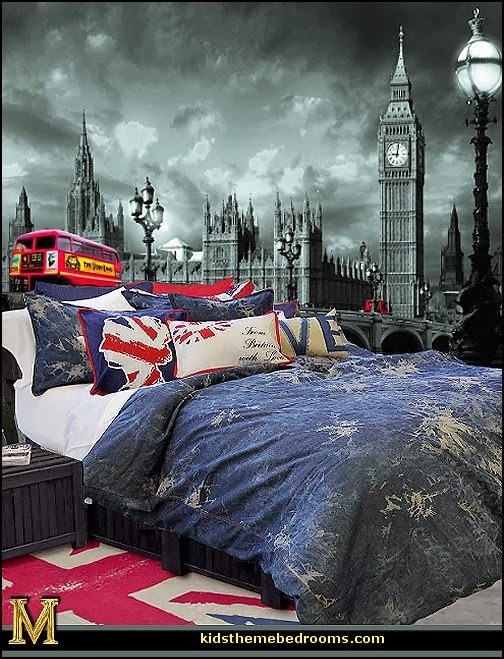 The addition of the Postcard pillows, Union Jack cushion and the Passport and Spun Silk euro shams make the look your own, The blue is a beautiful marine blue for a modern addition to this very popular pattern. 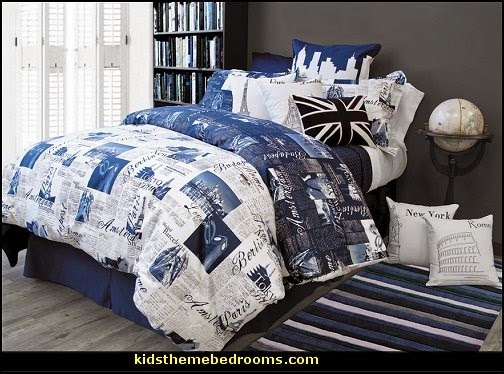 Passport is reversible from white with blue to blue with white making changing your style as easy as a flip of the duvet. 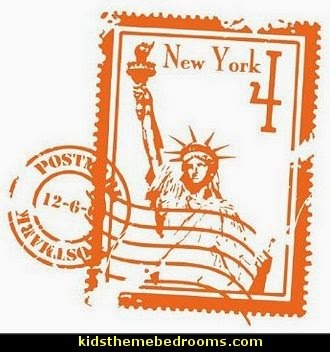 Forgot your New York Souvenir? 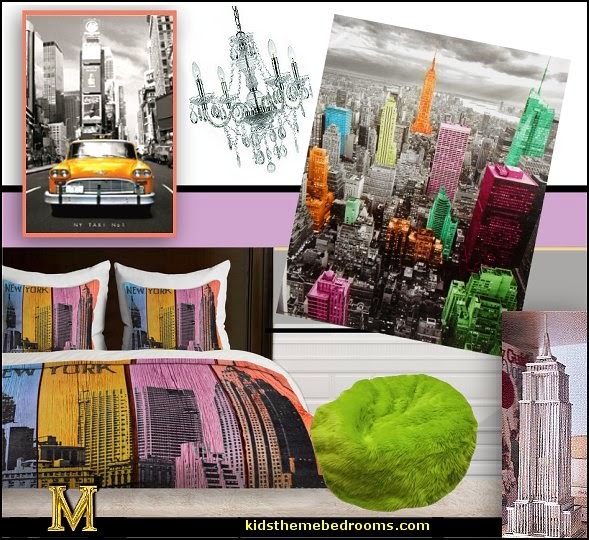 Or just want to bring a little of New York color into your home? Cityscape skyscrapers colorized using a palette of electric pinks, green, blues and oranges. 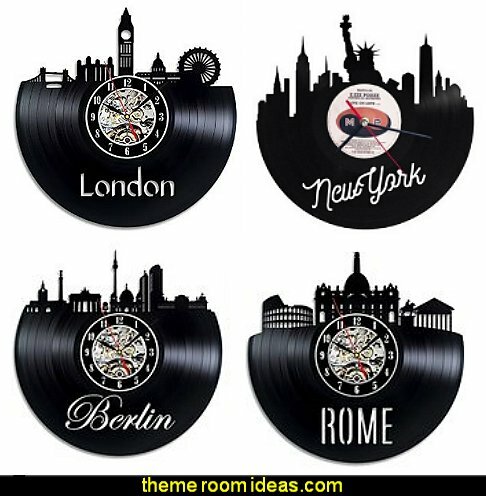 World travel theme has many variants - Countries, capitals, major cities - New York, Paris, Rome, London. A bright red bus passes on Westminster bridge in this artistic wall mural. 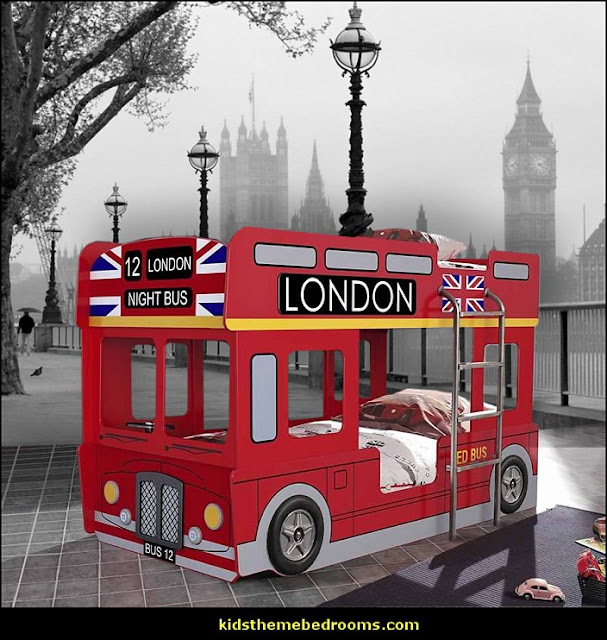 London night bus bunk bed with front LED lights, 3D wheels, turnable steering wheel and metal ladder on the side. 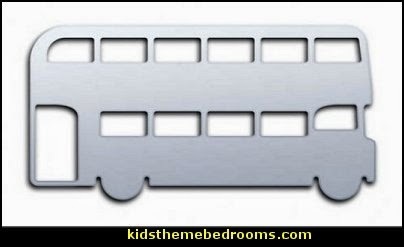 Fits standard single bed mattresses. 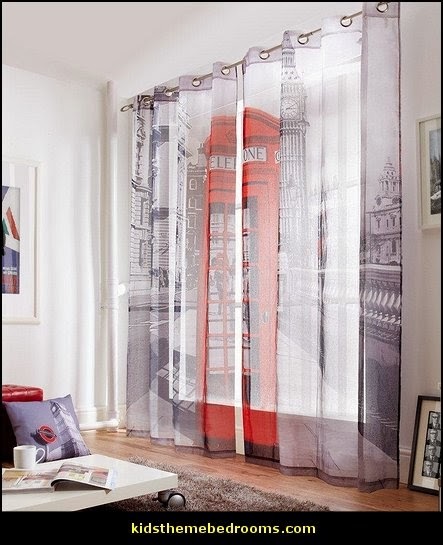 These stunning voile curtains are made from a luxurious snow voile, pattern printed with an iconic red London phone box and a bustling London scene. Created with easy care fabric and a contemporary ring top header. 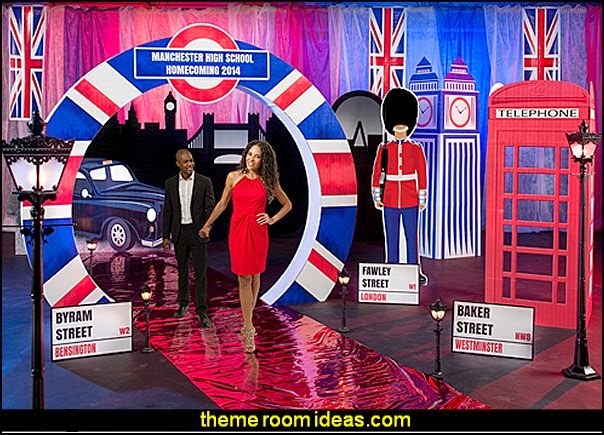 This Around The World Standee is the Passport to a great event! 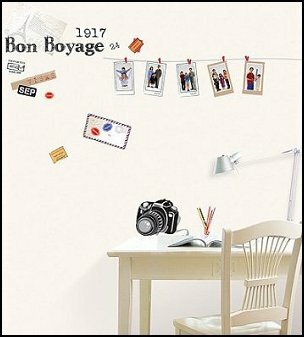 The Around The World Passport Standee features an image of a realistic looking passport book. 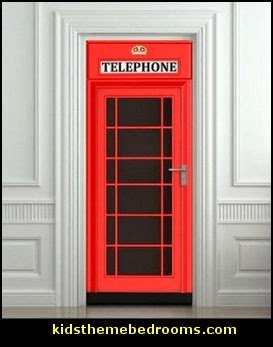 This free-standing cardboard prop is printed on one side and measures 5 feet 5 inches high x 3 feet 10 inches wide. 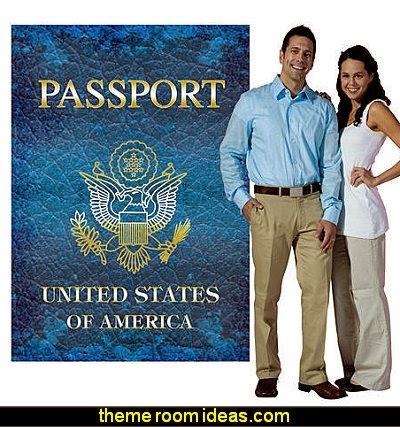 Snap amazing photos with you and your guests next to this Around The World Passport Standee. 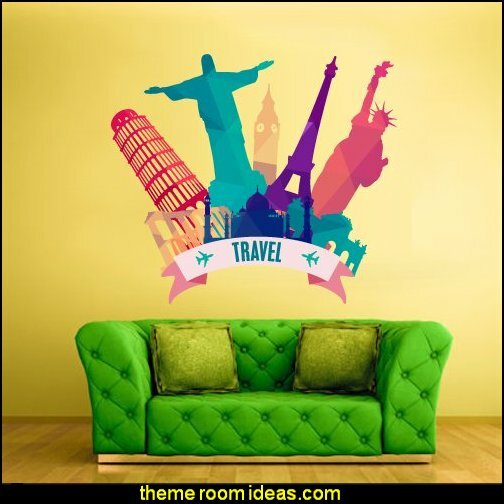 From Paris to Rio de Janeiro, you can bring a cultural feel into your home starting with a wall mural and then adding other simple touches in furniture style, colors, fabrics and even decorating items. 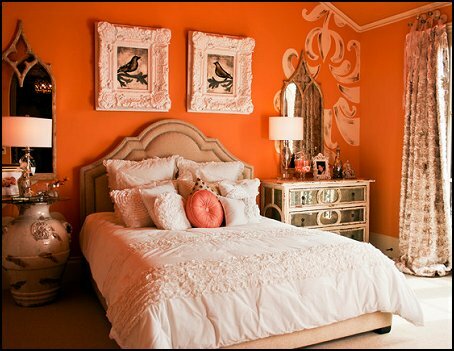 For example, if you’re going for a Latin feel, hot and tropical with tons of color is the way to go. 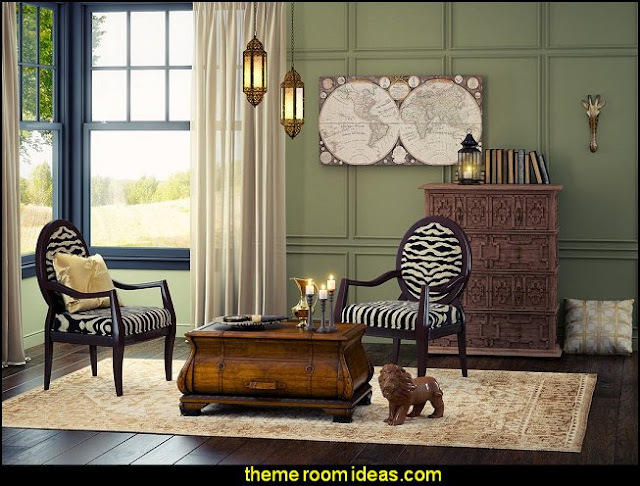 Decorate the walls with white plaster, hang a wall mural of cacti or sombreros, find fabrics with beautiful colors to throw over furniture or hang on the walls and place beautiful stoneware pottery on the shelves. 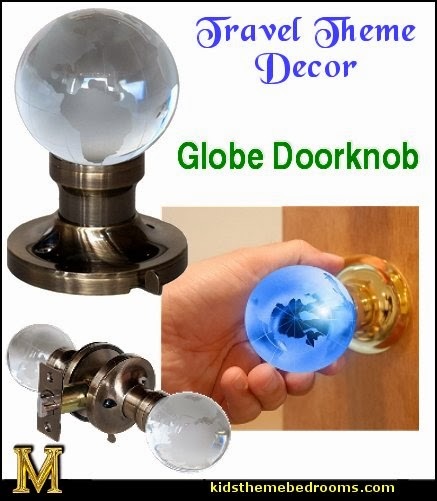 Plan new adventures or plot your favorite places on this unique globe. 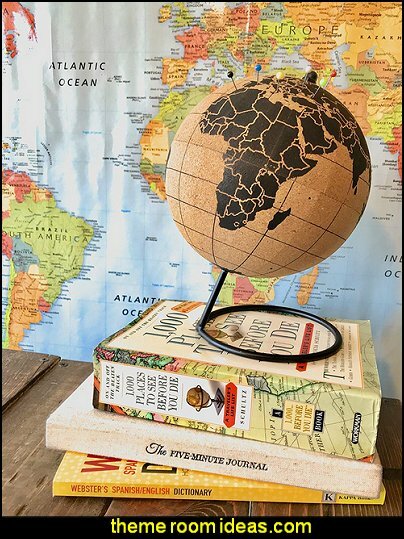 With its simple and stylish design, the Cork Globe makes a great ornament for your home and the ideal gift for globe-trotting friends. 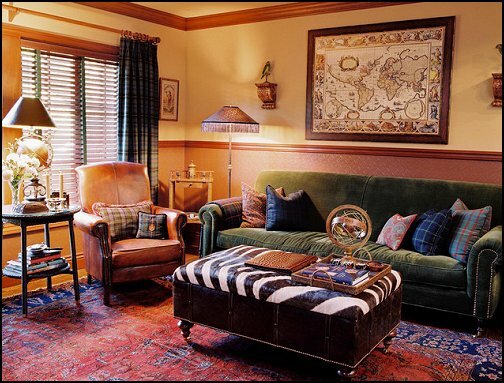 Old world style with touches from the Orient for the exotic Eclectic traveller. Take off with our flight-inspired Kai! 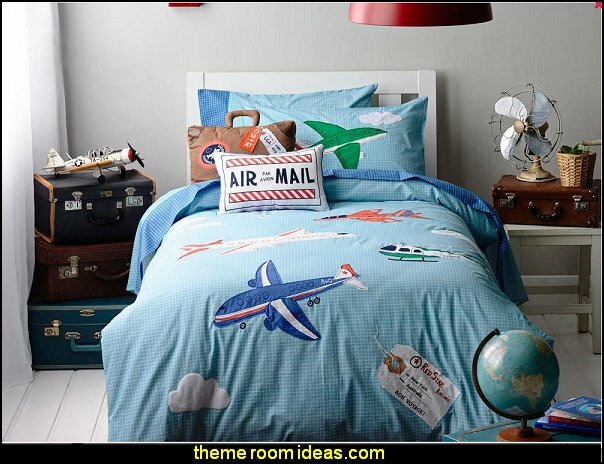 From airmail bolsters to opening envelope pillows, postage stamp designs to hand-painted air balloons, this is the bed of every little pilot's dreams. Even change our reversible blue duvet for a map to help him on his journey. 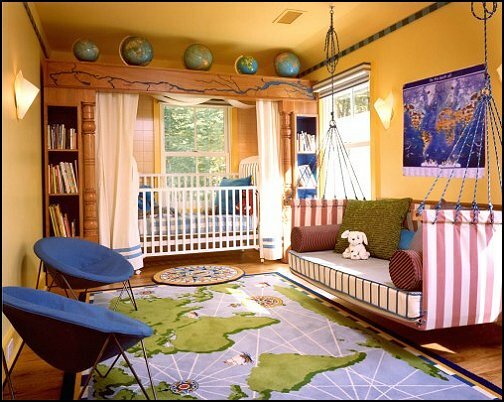 With Kai, he is sure to have an adventurous night's sleep. 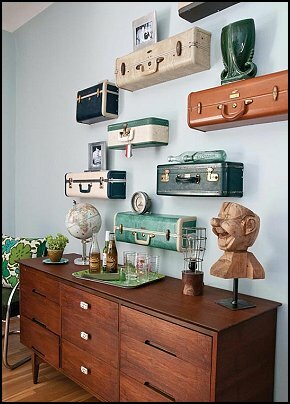 Accent with model trains, hanging planes and toy cars to enhance the travel theme. 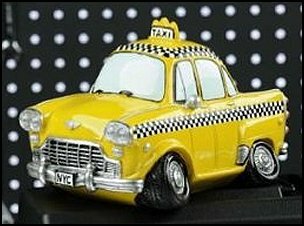 Accent with model trains, hanging planes, authentic ship models. 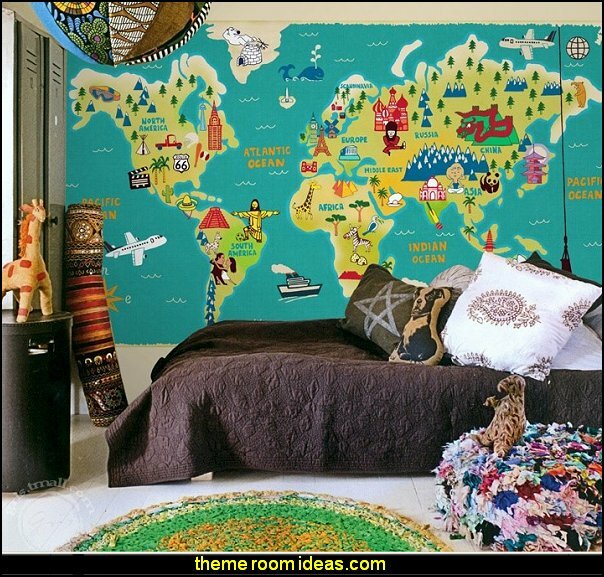 Bring your child's room to life with this map of the world wall mural. 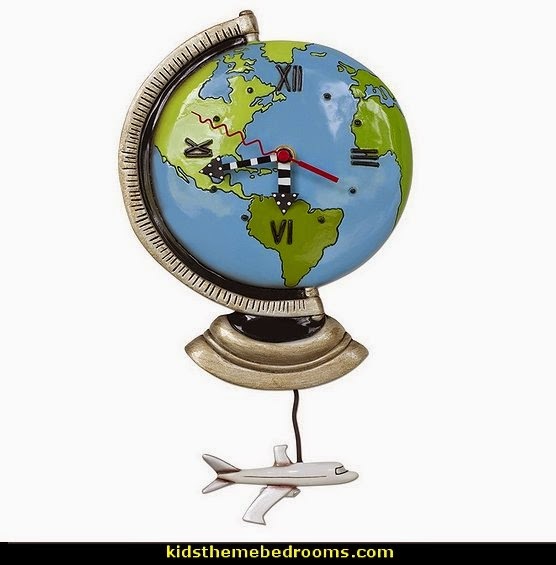 Both interactive and fun, this spectacular design allows them to keep track of their worldly adventures, while continuing to learn as they go along! 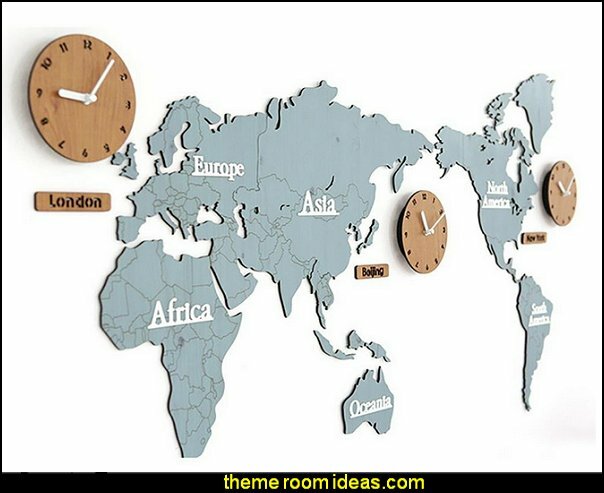 So many countries, so little time! 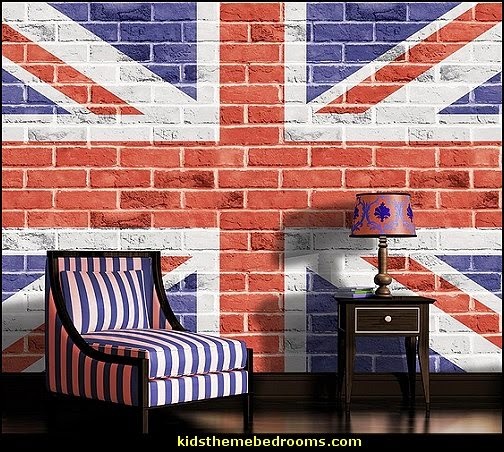 If you're unsure of which country to model your room after, why not hang an international flag banner up so you can celebrate them all? 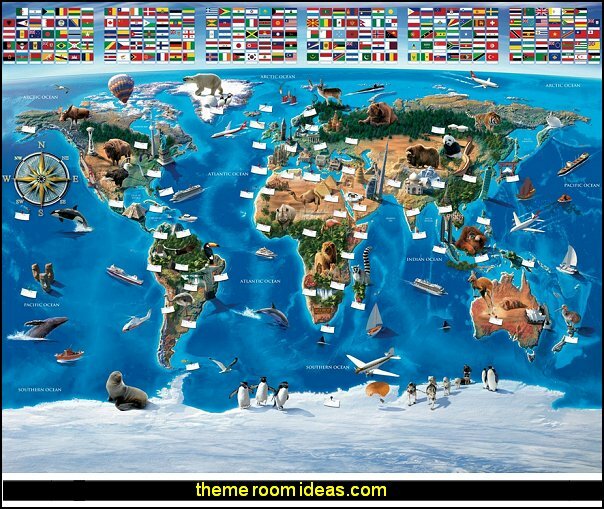 This International Flag Banner features flags from across the globe - Australia, Canada, United Kingdom, France, Italy, Germany and more. Each all-weather polyethylene International Flag Banner is 12 inches high x 14 feet 6 inches long. This International Flag Banner will take your celebration around the world. Travel theme nursery for baby can be vintage style or bright and colorful. Decorate the British Colonial themed room with a few oversized friends and turn Out of Africa into out of this world awesome! 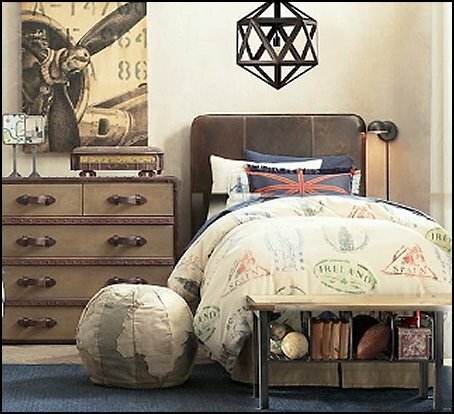 Bring the essence of faraway lands to your decor with Global Mix style. 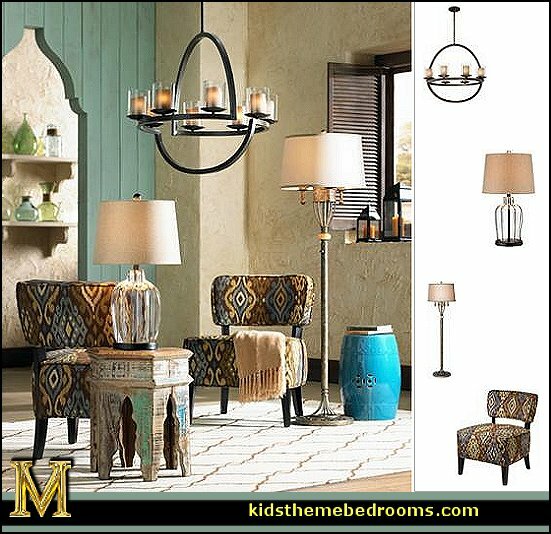 An antique finish floor lamp with Old World charm and an oil-rubbed bronze with amber glass chandelier are reminiscent of another time, while a plush chair draped in an exotic pattern and a rustic reclaimed wood accent table transport you to another place. 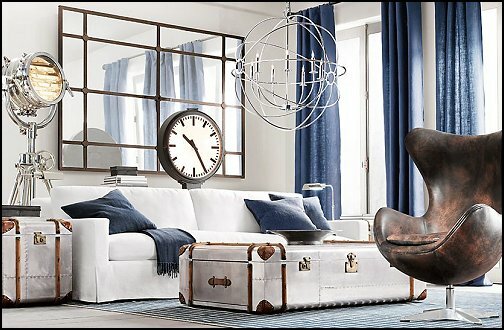 Global Mix style adds that luxurious, well-traveled feel to your living room. 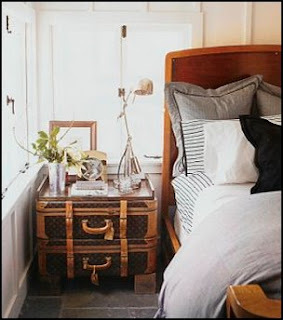 Glass Jar Table Lamp Clear is in, as in clear glass. Classic jar shape, with a bronze finish frame visible through the glass. 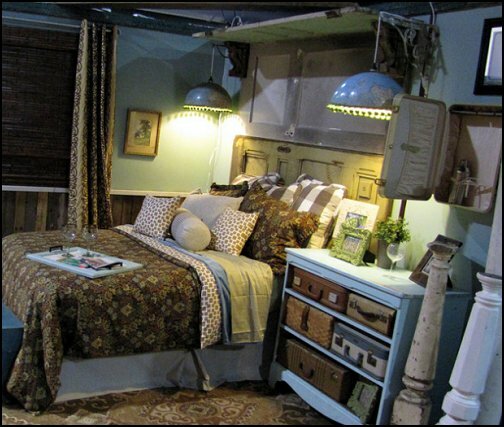 Up top is a burlap shade and a clear glass finial. 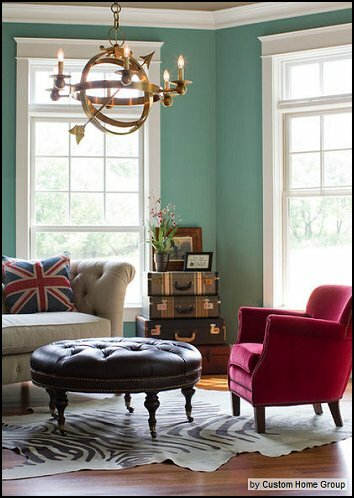 antique colors give this coffee table a unique style with the outlines of Moorish arches that will provide you with an elegant piece of furniture for the well traveled jet setter. 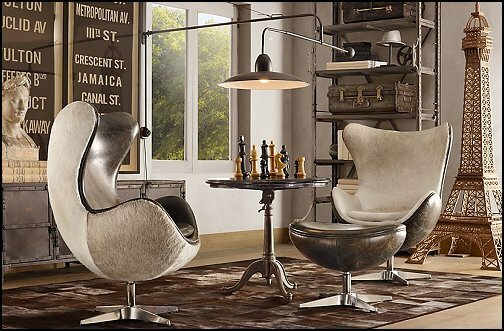 Plush armless club chair offers a stylish and alluring addition to your living space. 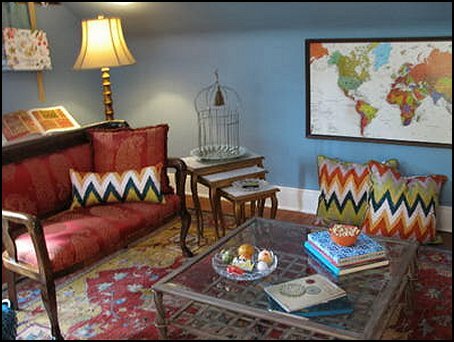 The contemporary look is rich and exotic with a warm Adana Falls Cypress ikat pattern over polyester fabric upholstery. Solid wood frame in a dark espresso finish with thick polyurethane CA fire retardant foam cushioning for supreme comfort and support. 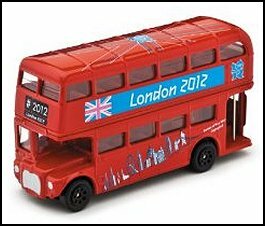 Display your foreign coin collection. 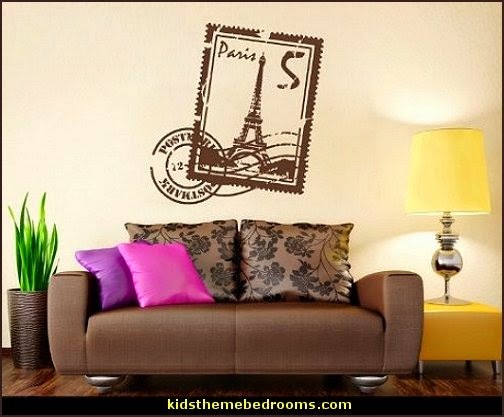 Create a wall collage of all your postcards. 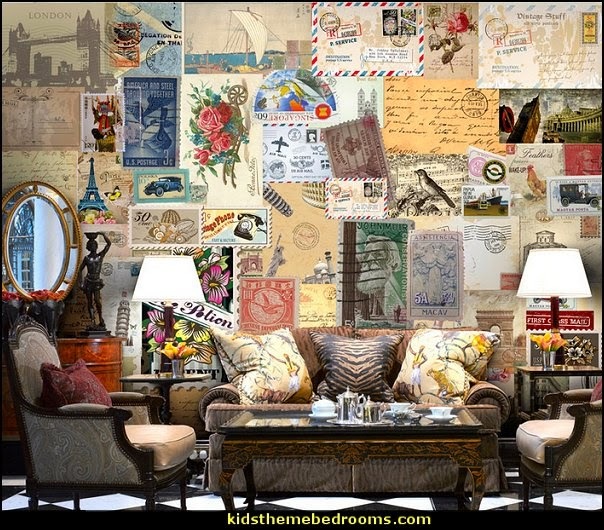 Decoupage hotel pamphlets, street maps, postcards. 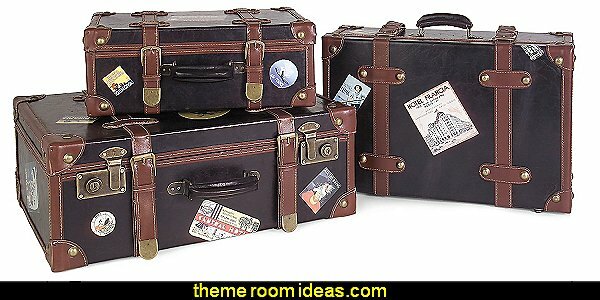 Old suitcases and trunks make for ideal furniture accessories for the travel themed bedrooms. 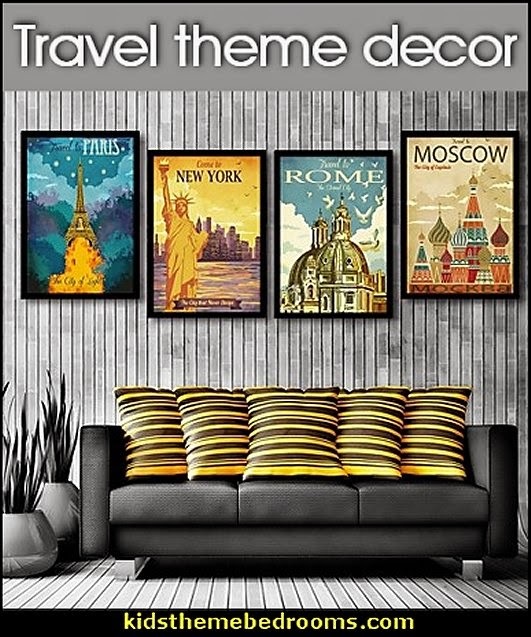 World travel-inspired decor. 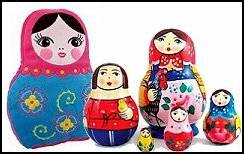 Decorative accents from different countries. 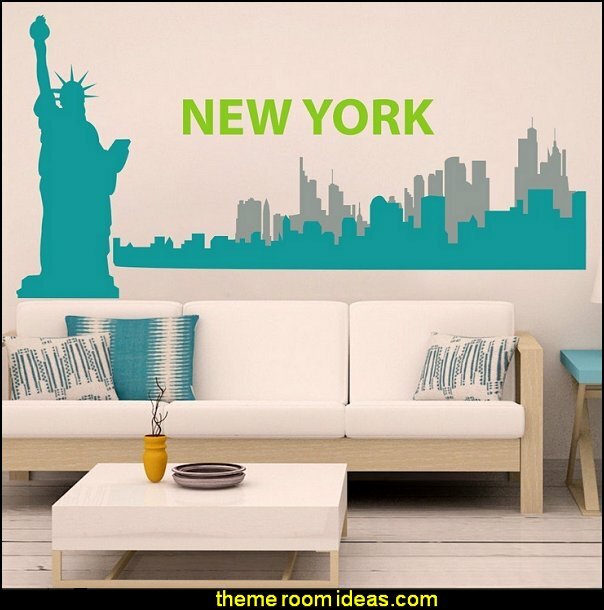 Dedicate a wall to your fav city. 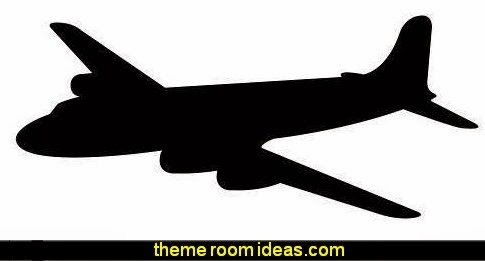 Add a little creative photography to your travel theme. 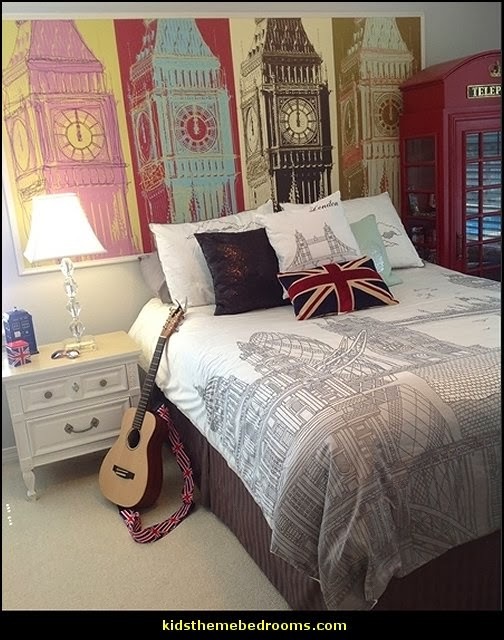 You don’t even have to have traveled to a foreign country to incorporate its cultural design in your home. 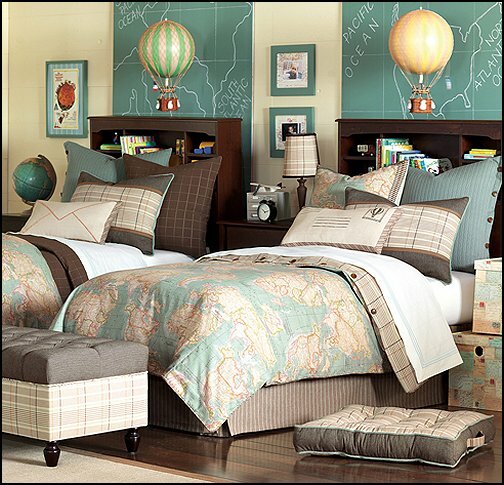 If you’ve always wanted to travel to Scotland, but haven’t been able to organize a trip, you can still create a Scottish Highlands room in your house, where you can escape to dream about one day in the future when you’ll pack your bags and board a plane for Edinburgh. 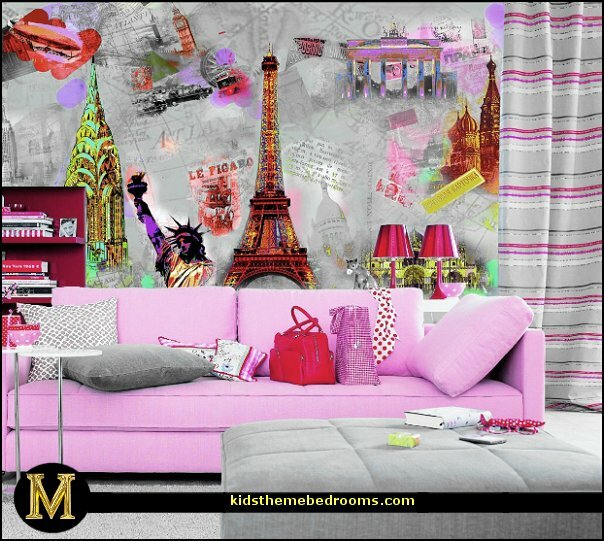 Once you have the right wall mural picked out – castles or golf courses are good options for the Scottish Highlands – look online for plaids, sheep, bagpipers, and anything the color of purple heather, to perfect the theme. 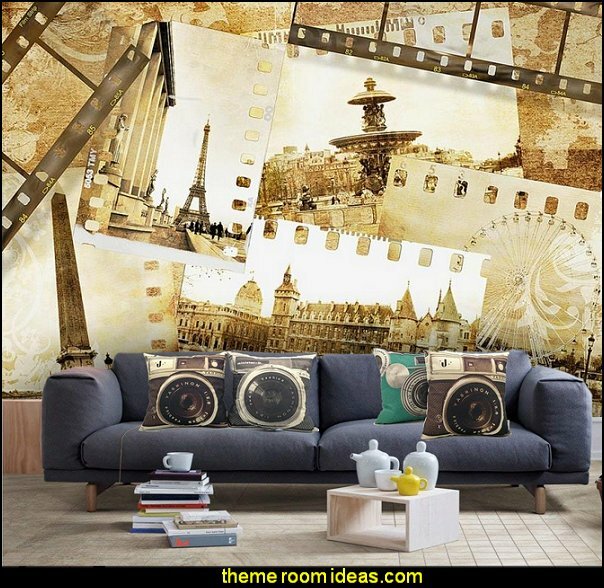 With a culture-themed room in your home, you’ll have visitors asking about your traveling experiences and knowledge, opening up plenty of opportunities for story-sharing and discussions. 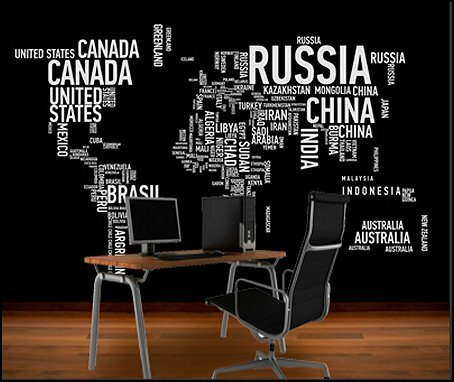 And as you take more journeys overseas into foreign cultures, you can consider changing the decoration in the room to reflect your most recent travels, making your home very multicultural. 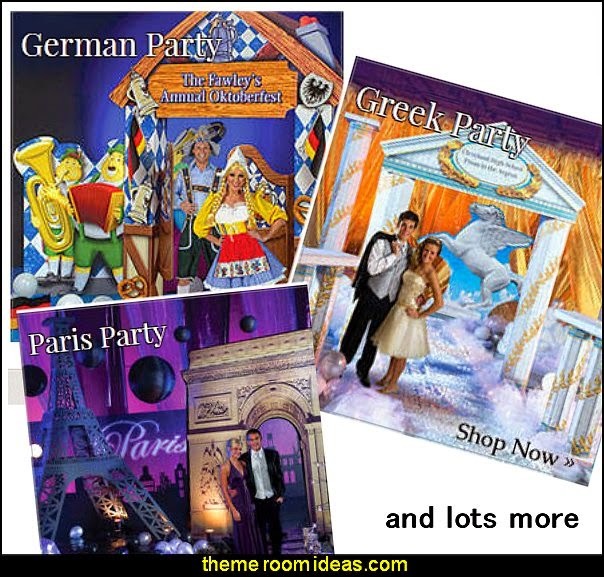 Take your party Around The World with this decorating Kit! 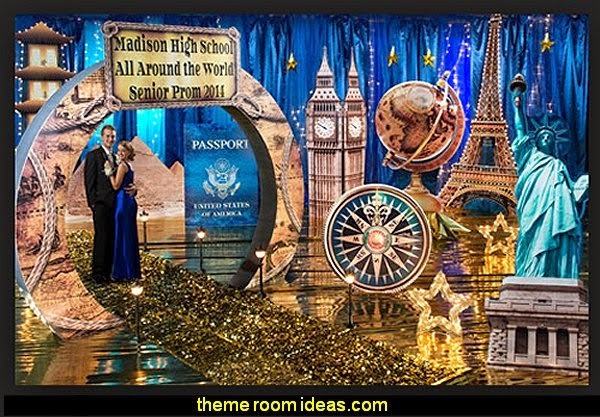 This Around The World Kit provides you with nine different props to create a spectacular scene for your event. Your guests will be in awe as they walk into another world. Assembly required. Background is black seamless paper, red, white and indigo gossamer. 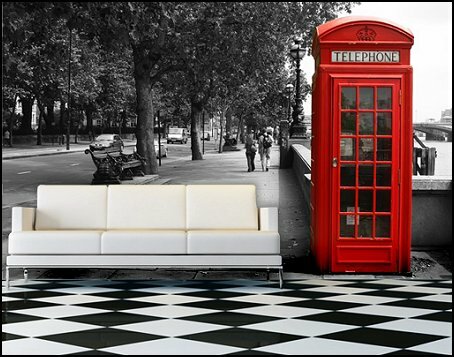 The floor was created with red metallic background material.